Undoubtedly Paris’s foremost museum, visiting the Louvre is almost always on every tourist’s must-see list. The Louvre boasts a world-class collection of art and antiquities, several noteworthy cafes, and a diverse array of store fronts. Originally built to serve as a fortress in the 12th Century, The Louvre underwent extensive reconstruction during the 16th and 17h century to become the stunning palace we see today. The museum was first opened in 1793 and instantly became a symbol of France’s artistic accomplishments. As a historical monument with more than 35,000 works of art and over eight million tourists a year, visiting The Louvre can certainly feel daunting. But, with the right information, you can get the most out of your visit to the renowned museum. Below you will find INSIDR’s comprehensive guide to visiting the Louvre including what to see, when to go and how to organize your time. For more info on all the other great museums Paris has to offer, check out our INSIDR Paris Museums Guide! We’ve got you covered while you visit Paris. While most people decide on visiting The Louvre to see iconic artwork like the Mona Lisa or the Venus de Milo, no visit to the Louvre would be complete without taking in the palace’s amazing architecture. Stretching along several blocks of the stunning Rue de Rivoli, The Louvre Museum blends several architectural styles designed by the rotating cast of monarchs that lived inside the palace walls. The exterior of the Louvre, with its arched windows and roman-style statues, is an impressive example of French Renaissance architecture. Meanwhile, the palace’s interior provides visitors with a range of baroque and neoclassical architectural features. 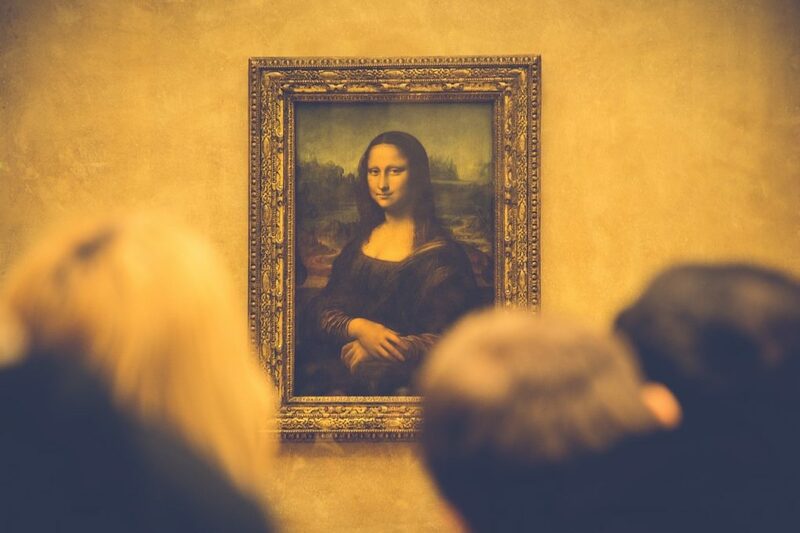 When visiting The Louvre, and after you’ve pushed your way through the crowd to catch a glimpse of Da Vinci’s Mona Lisa, turn your attention to the museum’s other iconic and less-visited pieces. In the Sully Wing you’ll find a collection of 2000 year old Hellenistic sculptures such as Bernini’s prolific “Sleeping Hermaphroditus” as well as the museum’s impressive Egyptian collection. Here you can see The Great Sphinx of Tanis, The Sarcophagus Room (Room 14) and a towering statue of pharaoh Ramesses II. Up the Daru staircase in the Denon wing stands another favorite, the headless “Winged Victory of Samothrace” and Michelangelo’s “Dying Slave”. Anytime before or after visiting the museum, make a stop at the Carrousel du Louvre. This high-end shopping mall doesn’t only offer the kind of quality shops and restaurants that you would expect, it also has a lot of facilities and features that you can’t all find in one place. First off, travellers from outside the EU will love the on-site currency exchange service as well as the centralized tax refund offer. For travellers who need assistance, Carrousel du Louvre, in partnership with the Paris Tourism office, also has a welcome desk that can answer all travel and sightseeing-related questions about Paris. Guests will also love being able to access phone charging stations, free wifi and the all important clean toilets which seem elusive in Paris. INSIDR tip: Carrousel du Louvre is the best Louvre entrance if you want to avoid the long lines at the main entrances. Da Vinci’s paradigmatic work, The Mona Lisa, is The Louvre’s most-visited art piece. Since its creation sometime between 1503 and 1517, The Mona Lisa has become the most widely-recognized painting in the world. But why? The reason can be broken down into two points. First, Da Vinci’s masterpiece revolutionized portrait painting by using the painstaking blending technique known as ‘sfumato’ to create the painting beautiful soft lines. Second, the painting has been the object of several thievery attempts over its lifetime which have served to increase the mythology of the painting as well as its value as an historic artifact. The Mona Lisa is also known for the way her eyes seem to follow you wherever you move, its equal parts spooky and cool! You’ll find that while visiting The Louvre there is little information provided about the use of these opulent apartments, which is perhaps part of their appeal. Although named after Napoleon III, the rooms were actually refurbished during his reign for The Ministry of State. The work was completed between 1856 and 1861 by a team of highly-skilled artists who designed the rooms in the opulent style of Louis XIV, best known as the creator of the lavish palace of Versailles. The apartments are a stunning example of the wealth of the Second Empire and its decorative aesthetics which call back to France’s pre-revolutionary era. Visiting The Louvre can only be done properly if you pay a visit the medieval remains of the old Louvre fortress which are accessible for everyone at The Carrousel du Louvre. Discovered when the Louvre Museum was built, these remains are former fortress walls that date back to the middle-ages. A new installation from contemporary artist Joseph Kosuth is currently on display on the remaining walls of the ancient fortress, juxtaposing the old with the new to create a striking exhibition. To see the medieval fortress walls, enter the Carrousel du Louvre and turn right when you arrive at the inverse pyramid. You won’t want to miss this! When visiting the Louvre, be sure to check out The Touch Gallery, a new space that provides Louvre visitors with an interactive exhibit that let’s you experience sculpture differently. The Touch Gallery was created to provide disabled patrons with new and unique ways of connecting to art. At the gallery, you’ll find casts of some of the museums most-celebrated works. The gallery is also child-friendly and a great hit with the museum’s younger patrons. While disabled visitors are the target audience of the gallery, The Touch Gallery encourages everyone to learn how to use touch as an interpretive tool. Art museums in Paris: Top six museums to visit! Best Locals’ tips when visiting the Louvre! Whether you plan on visiting The Louvre on Wednesday or any other day, the most important tip is to choose your entrance before you go! Entering through the Pyramid is decidedly not the best option. To cut the wait short, we highly recommend entering through Carrousel du Louvre where the line is always shorter. If you are a family visiting The Louvre with young children, The Carrousel du Louvre entrance is stroller-friendly as there is an elevator and, in general, fewer people to navigate around. Check out our dedicated article on the best entrance to visit the Louvre. 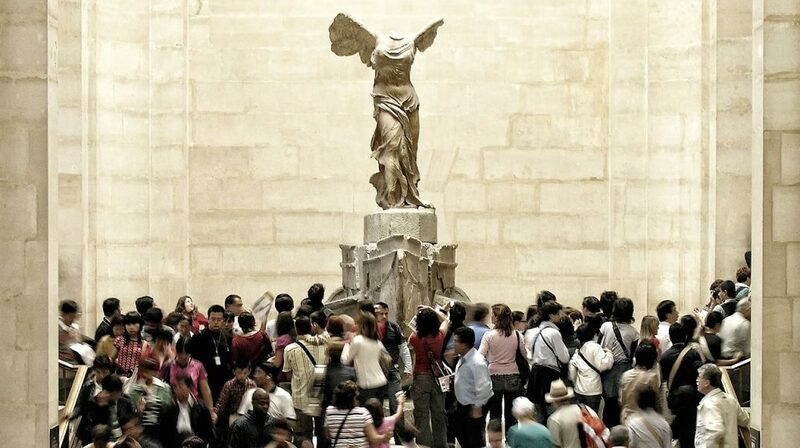 On the first Saturday evening of each month, lucky patrons visiting the Louvre can gain entry free of charge. Since free-entry is only open to a select group, the museum is not over-crowded allowing you to enjoy the collections without hassle. On Friday night’s during the museum’s extended hours, visitors under the age of 26 are able to access the museum for free. France’s national holiday, Bastille day, on July 14 is celebrated with cultural events all over the city. The Louvre celebrates by offering free access to the public. 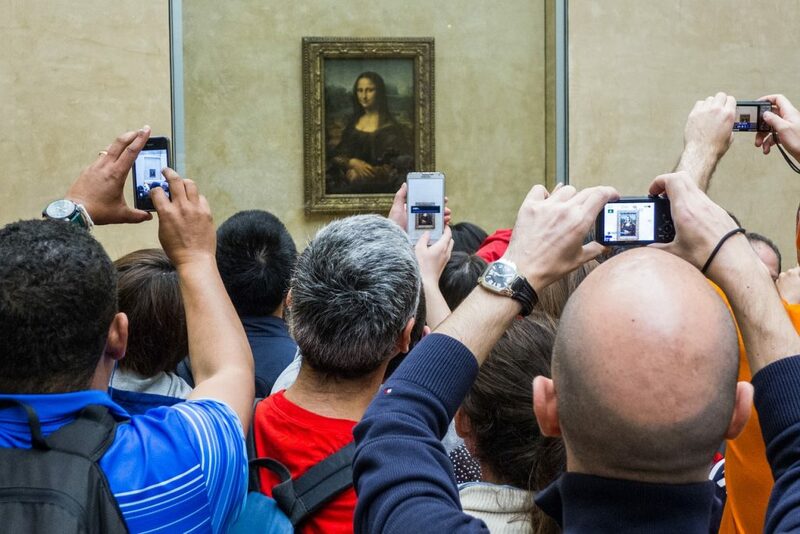 But be warned – both tourists and locals love to take advantage of visiting The Louvre when there is free admission, so be prepared to face a crowd! If you’re looking for a unique date-night activity or just something stimulating to do after work, visiting the Louvre at night is probably your best bet. On Wednesdays and Fridays the Louvre is open until 9:45. We recommend going on Friday when most tourists and locals are out enjoying Paris’s nightlife. Tour the museum at your leisure then take a romantic walk along the Seine to St. Germain for a late-night apéro. Or stay at the museum and take in a concert of classical music at the Louvre’s state-of-the-art auditorium. For more information on visiting the Louvre at night time, check out the complete INSIDR guide to the Louvre at night! Wednesdays are the best days to plan on visiting the Louvre! If your schedule restricts you from visiting The Louvre at night, then Wednesday is the best time to see The Louvre. While many would assume the beginning of the week is the best time to check out the museum, Mondays are often the museum’s busiest day. Chateau de Versailles closes on Mondays driving up foot traffic in the city, particularly at major tourist attractions including The Louvre. Visiting The louvre on Tuesdays is out of the question as the museum is closed. On any given Wednesday you can expect to find a curtailed stream of visitors allowing you to take your time to explore the museum’s vast collections. Whenever you plan on visiting The Louvre, there are a few preparations you should definitely make before your arrival. First, and most importantly, buy your tickets in advance. If not, you are undoubtedly going to be subjected to much longer wait times. Keep in mind that during peak season (roughly late May to the end of August) lines of tourists visiting The Louvre can stretch around the block. To buy advance tickets we recommend going through Tiqets.com, a website that sends your tickets directly to your smartphone after purchase so there’s no need to print out your tickets beforehand. For visiting The Louvre, we also recommend downloading the app Affluences which let’s you track the museum’s foot traffic in real time. If your Paris itinerary includes lots of museum visits, forgo buying one-off tickets and invest in the Paris Museum Pass. For an average price of 50€ you’ll get free access to almost every major museum in the city as well as popular monuments including The Louvre, Musée d’Orsay, The Arc de Triomphe and even the Palace of Versailles. The pass gives you an unlimited amount of visits to each attraction. There are also dedicated lines for pass holders at many major museums including the Louvre. You should note that at any museum you visit there are strict rules that prohibit flash photography and, at special and temporary exhibits, all photography is usually forbidden. There are over fifty museums and monuments included in the pass so for around 50€ the Paris Museum Pass is definitely the best value for your money. Second, we always recommend arriving early when visiting The Louvre. Arriving before the doors open at 9:00 means there’s less chance you’re going to be battling a crowd to navigate the galleries. We also recommend arriving early in order to give yourself enough time to experience everything The Louvre has to offer. 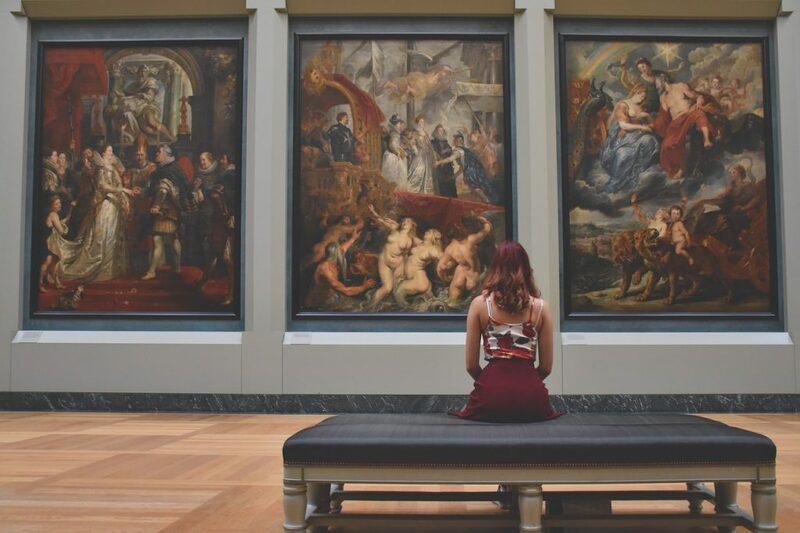 On average, most visitors spend at least three hours at the museum and many underestimate how much time it will take to see everything that piques their interest. If you arrive to the museum early you’ll also be leaving yourself with lots of time to check out the many sights and attractions of the surrounding neighborhood once you’re done visiting The Louvre. Get there early, skip the lines, and give yourself enough time to experience all that The Louvre has to offer. Since The Louvre is a location in Paris’s premier shopping district, the 1st arrondissement, many tourists combine visiting the Louvre with a couple (or many) hours of shopping. As the home of many flagship French luxury stores such as Chanel, Dior and Hermès, shopping in this neighborhood can be prohibitively expensive. 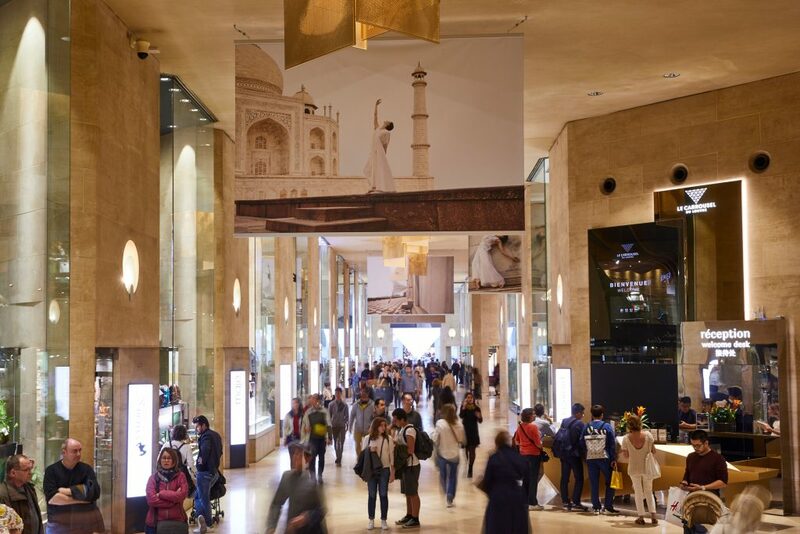 Carrousel du Louvre, located inside the museum, offers Louvre visitors an accessible shopping experience with a wide range of stores. French staples like Fragonard, L’Occitane and Maje can all be found at The Carrousel as well as American classics like Tommy Hilfiger and Pandora. INSIDR Tip: Don’t forget to bring your passport with you when you shop at Carrousel du Louvre so you can directly claim your tax refund! Carrousel du Louvre offers a variety of restaurants. Among our favourites are Salam for mediterranean specialties, Tazio for great Italian and Mira for Spanish-style tapas. While the Louvre’s surrounding neighborhood offers a variety of small cafés, eating lunch in this neighborhood can get pricey fast. And, if you’re visiting The Louvre with kids, finding somewhere the whole family can eat at might take the better part of an hour. The Carrousel du Louvre offers a great range of culinary options so you’re guaranteed to find something to satisfy even your pickiest eater. Because The Carrousel is attached to The Louvre, almost all of the staff here speak English, which is great if you’re still working on bringing your French up to scratch. For questions about traveling in Paris, don’t hesitate to head to their welcome desk where friendly multilingual staff will be of help! For some fresh air after your stint inside the museum, take a walk through the Tuileries Garden. Nestled between The Louvre and Place de La Concorde, the picturesque gardens offer an oasis among the urban bustle of Paris’s 1st arrondissement. The Tuileries were created by the infamous Catherine de Medici in 1564 to serve as a private park for the palace and its royal inhabitants and were not open to the public until the mid-17th century. It’s an iconic spot in Paris that’s just as beautiful as the works you’ll find inside the Louvre. The Tuileries are open all year long with extended summer hours so you can enjoy the gardens well into the evening. The Louvre Museum in Paris is located on the Rue de Rivoli in the 1st arrondissement. 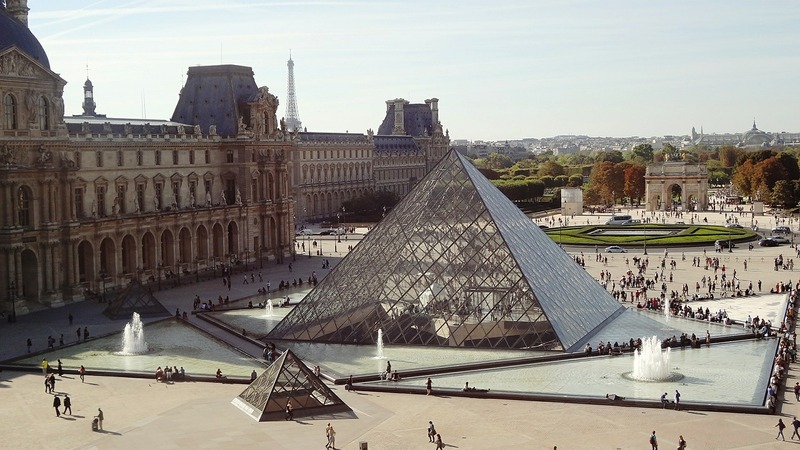 To get to the Louvre by metro, take line 1 or 7 and get off at stop ‘Palais-Royal Musée du Louvre’, or take line 14 and get off at stop ‘Pyramides’. If you’re planning to arrive by car, there is underground parking available on Avenue du Général Lemonier open everyday from 7:00 a.m. to 11:00 p.m. The museum from 9:00 a.m. to 6:00 p.m. Monday, Thursday, Saturday and Sunday and from 9:00 a.m. to 9:45 p.m. on Wednesdays and Fridays. Ticket sales close at 5:00 p.m. The museum is closed every Tuesday as well as January 1, May 1, and Christmas day. Tickets can be purchased at the door for 15€ or online for 17€. For more information on Paris’s other amazing museums, please see our complete INSIDR museum guide! If you want to find the best way to access the Louvre museum in Paris see our recommendation for the best entrance to the Louvre. Louvre at night: Everything you need to know!